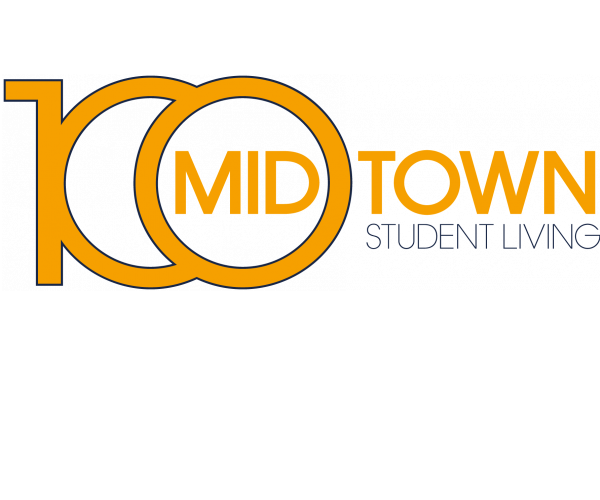 Your search for the best Georgia Tech apartments with a fitness center ends at 100 Midtown. Our student-focused apartment community has everything you need to lead an active, hassle-free lifestyle. Our recently updated fitness center has cardio equipment, machine and free weights, and a TRX station. Plus, it’s open 24 hours a day, letting you work out whenever you want! Our prime location —right in the middle of the Georgia Tech campus— makes us a great choice for students who like biking or walking to class. And we’re just a two-minute walk from the Georgia Tech Trolley stop at Publix Supermarket and one block away from the Midtown MARTA station. Students also appreciate our library, our computer lab, which has Macs and PCs loaded with engineering software and the Adobe Creative Suite, and our study rooms with Smart Boards. All of our apartments come with a leather furniture package, as well as a washer and dryer, making move-in easy. All you need to bring are your keys and your belongings! Our spacious apartments have 2 or 4 bedrooms, 1 or 2 bathrooms, full kitchens, and open living and dining areas. Additional storage space is also available. 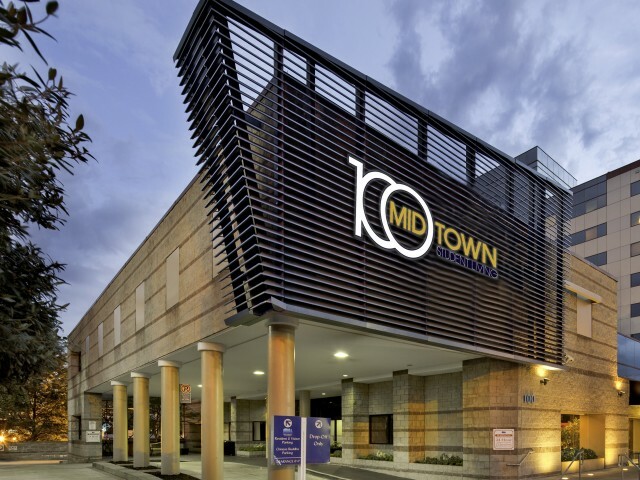 An on-site fitness center is a definite plus, but two of the biggest advantages to living at 100 Midtown are our individual leases and all inclusive rent. We offer leases by the bed (not the unit), so you’re never responsible for your roommate’s rent, even if they transfer or graduate. And your monthly rent payments cover the cost of Internet, cable, and electric, so you don’t have to bother setting up your own accounts. To schedule a tour, contact us today. Once you’ve seen our convenient and affordable Georgia Tech apartments with a fitness center, you won’t want to live anywhere else!